Accompanying children sharing the family suite (one shower/bathroom), under 12 years $70, 12 years and older single occupancy $140 per night including breakfast. Group bookings for friends sharing the family suite (one shower/bathroom) – Queen bed $160 and two single beds $80 per person including breakfast. Single night bookings require the full amount to be paid in advance by either BACS transfer or contact us direct with your card details. Bookings of two or more nights must be secured with a 50% deposit, payable at the time of booking by BACS transfer or contact us direct with your card details. The remainder can be paid in cash, or on premise with debit / credit card or if you prefer to pay the whole amount in advance by BACS transfer prior to arrival. Please call us if you have any questions on 08 88232593. Children are welcomed at Rezare House Bed and Breakfast and our family suite provides two bedrooms with a family bathroom in between. We courteously remind parents and children that other guest have the right to a quiet and relaxing stay as the guest accommodation has shared areas. In the event of a "no show", (guest does not arrive and fails to advise Rezare House Bed & Breakfast), the deposit or any monies paid are forfeited. Please note any damage to Rezare House Bed & Breakfast is the responsibility of the guest who completed the registration form(s). We respectfully ask that you take due care, when using Rezare House Bed & Breakfast and remember you may not be the only guests. Your pet must be under your direct control at all times, and must not be left unattended in your room. Please Note: Your payment is acceptance of Rezare House Bed and Breakfast cancellation policy. Rezare House Bed and Breakfast Cancellation Policy overrides any third parties conditions. Cancellations of your booking more than 21 days prior to the first date booked will be refunded in full. Cancellation of your booking 20 days or less will lose the deposit paid. N.B. - Travel insurance is recommended for all bookings to provide adequate protection against cancellation of travel. All guests will be required to complete a registration form per room on arrival unless a family booking. Please see Monty’s house rules for visiting dogs on our website or in the room folder on arrival. 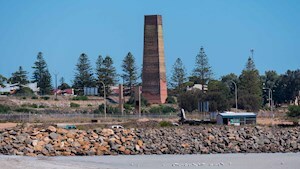 Wallaroo is a port town on the western side of Yorke Peninsula in South Australia, 160 kilometres north-northwest of Adelaide. It is one of the three Copper Triangle towns famed for their historic shared copper mining industry, and known together as "Little Cornwall".